Free Suave Professionals Natural Infusion Samples & Coupons!! 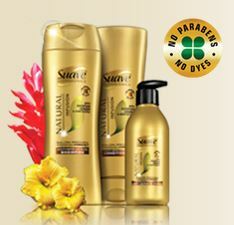 Go HERE to grab a FREE sample of Suave Natural Infusion shampoo and conditioner! You can also send a sample to a friend! Already know that you love it? Pick up a coupon for $1.50 off HERE too! Samples available for first 400,000 sign ups only. If you are one of the first 400,000 (you will know because your entry will go through 🙂 you will receive Suave Professionals Natural Infusion with Awapuhi Ginger – Shampoo, Conditioner and Leave-In Cream product samples.